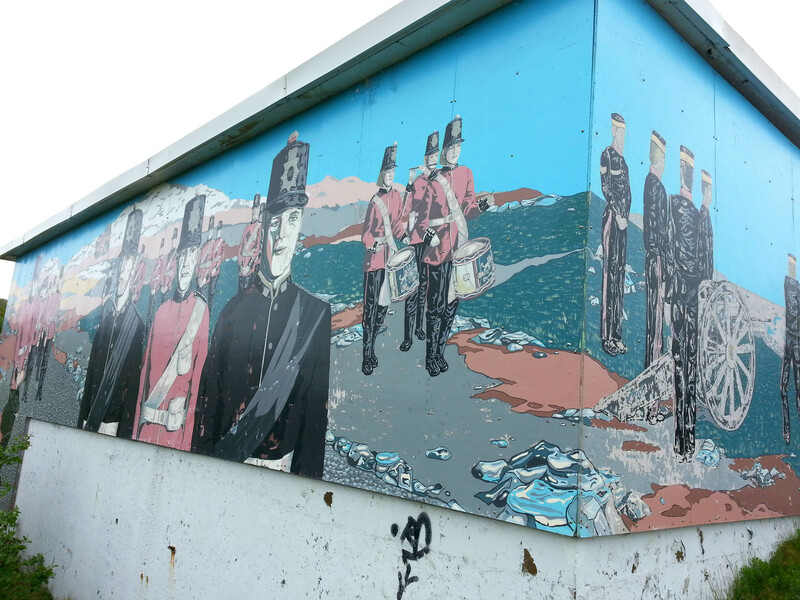 Sometimes one of your writing gigs sends you on a work trip to St. John’s, Newfoundland. Sometimes you tack on an extra couple days to your work trip to enjoy what the city has to offer. And sometimes the weather cooperates so you can tour to your heart’s content… but this was not one of those times. Despite the particularly cold, rainy weather, I wanted to see what St. John’s has to offer so I piled on layers and forged on. 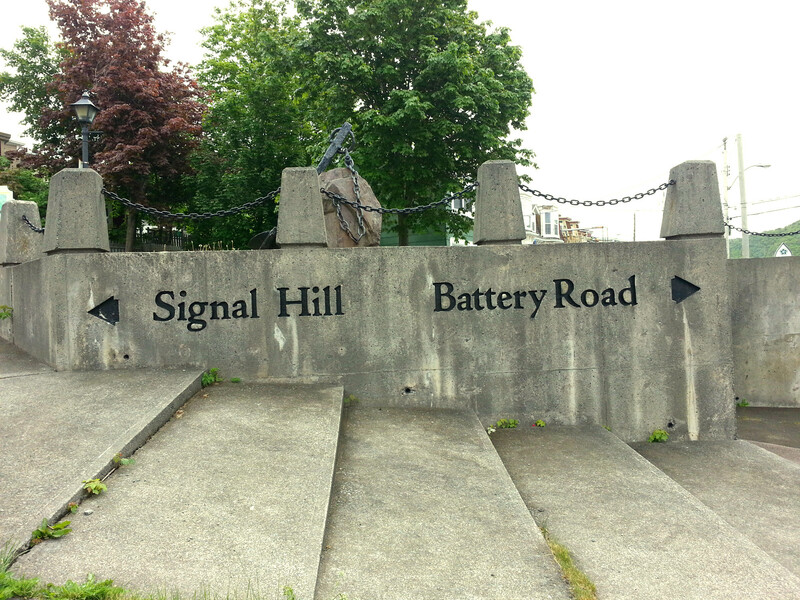 One of the main attractions is Signal Hill which overlooks the city of St. John’s. 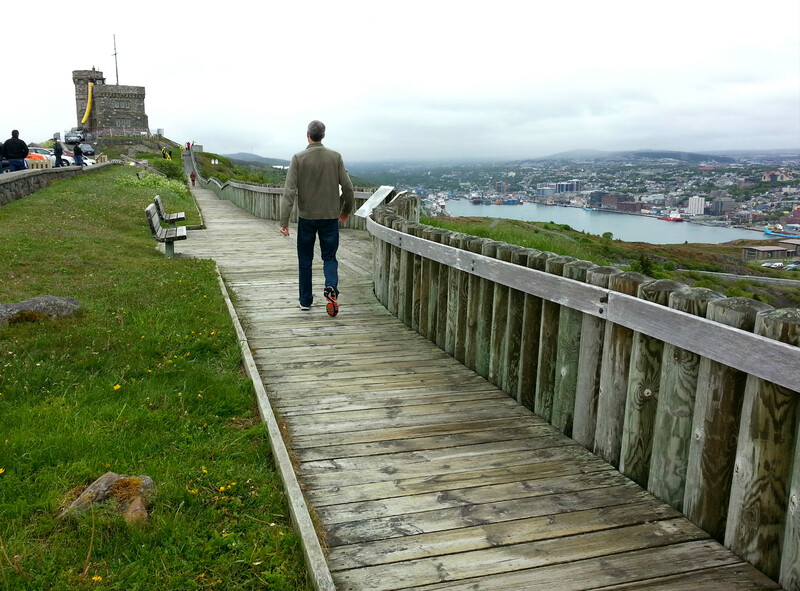 On the way up, there were statues of Newfoundland and Labrador dogs… very fitting for this province. 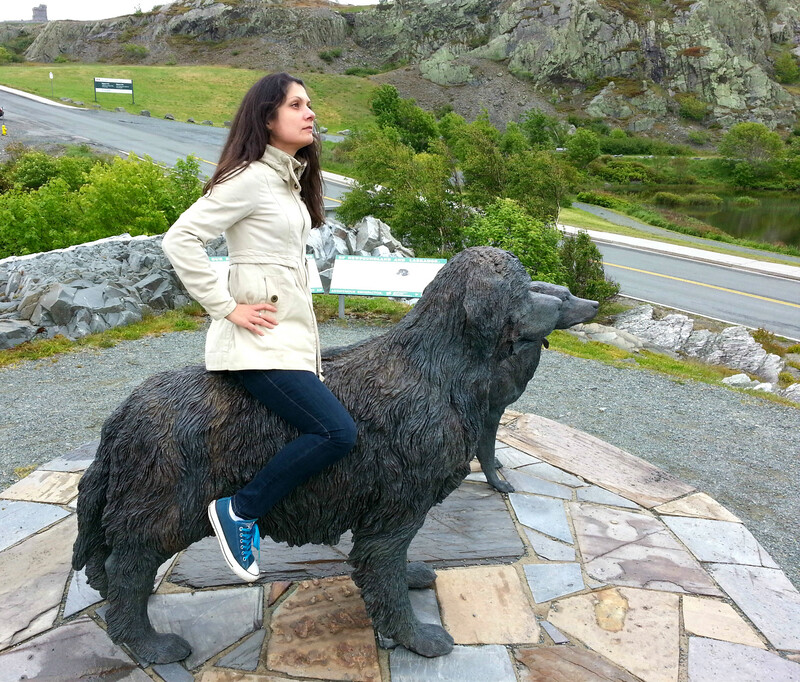 You know me, I had to ride the Newfoundland dog statue. He didn’t mind. Due to its position in relation to the narrow harbor entrance, the overlook had some sort of fortification (mostly British, briefly French) from the mid-1700s until after World War II. A painted building on the trek sports images of early soldiers. 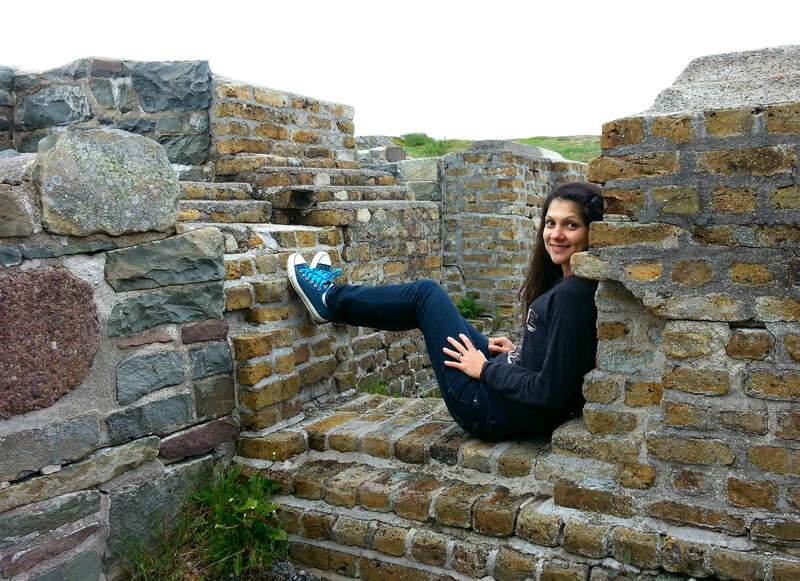 Luckily, walking up the hill works up a nice sweat, so I could shed some layers while enjoying the historic site. But I didn’t let my guard down… clearly I’m aiming this cannon at intruders and am ready to fire. OK, maybe I’m a little too leisurely with my duties. I’d make a terrible fortress defender. More evidence that I’d make a terrible defender… loafing around in the fortress. The views are spectacular. 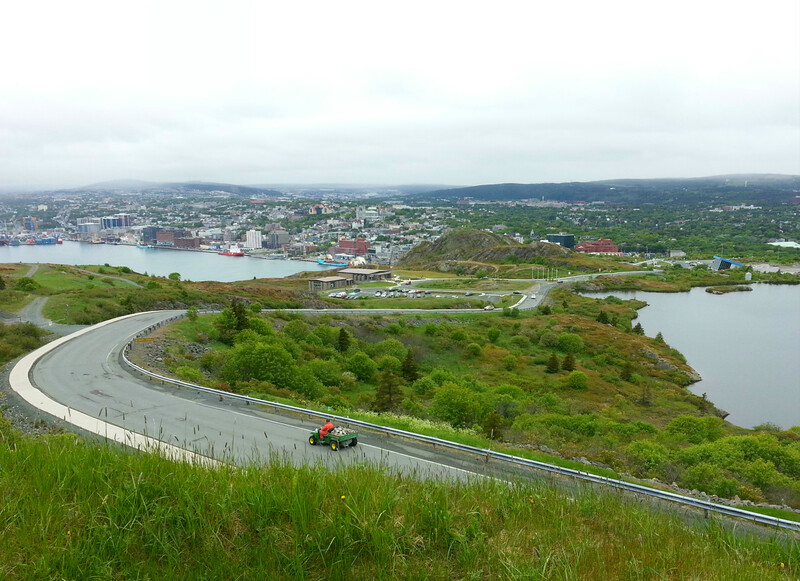 While taking in the entire city and its harbor, you can see why Signal Hill served so long as a lookout and communications point. You can also see a hint of the infamous fog that often coats the harbor. Cabot Tower lies on top of the hill. It was built to commemorate Queen Victoria’s Diamond Jubilee and the 400th anniversary of John Cabot’s voyage to the new world. It mostly had been used for flag signaling. 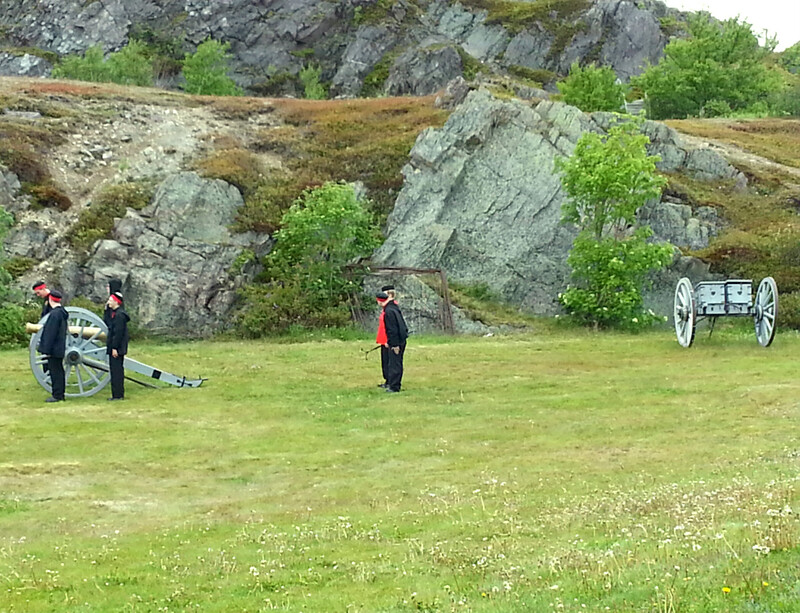 And on the way back down, it was fun to watch the teenage boys acting goofy while practicing for their Signal Hill Tattoo cannon duties. Let’s just say the poking, swearing and giggling stopped once they realized passersby were watching. 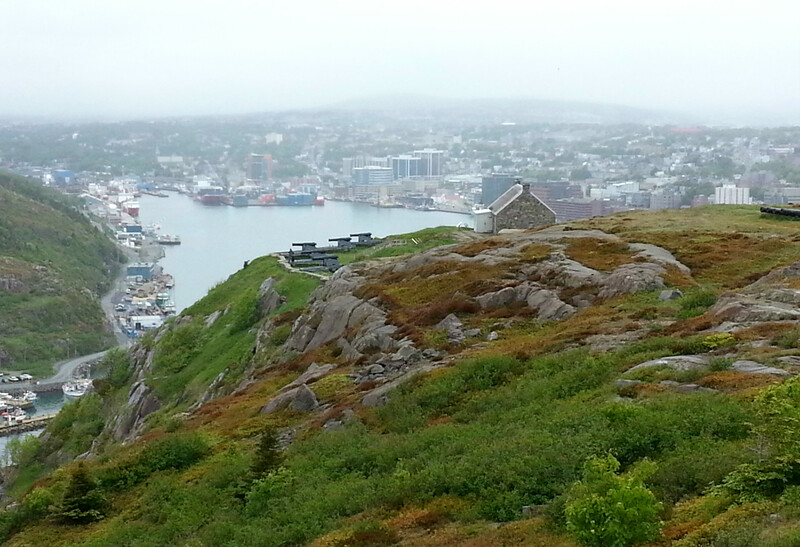 From the history to the views to the warming hike, Signal Hill exceeded my expectations. 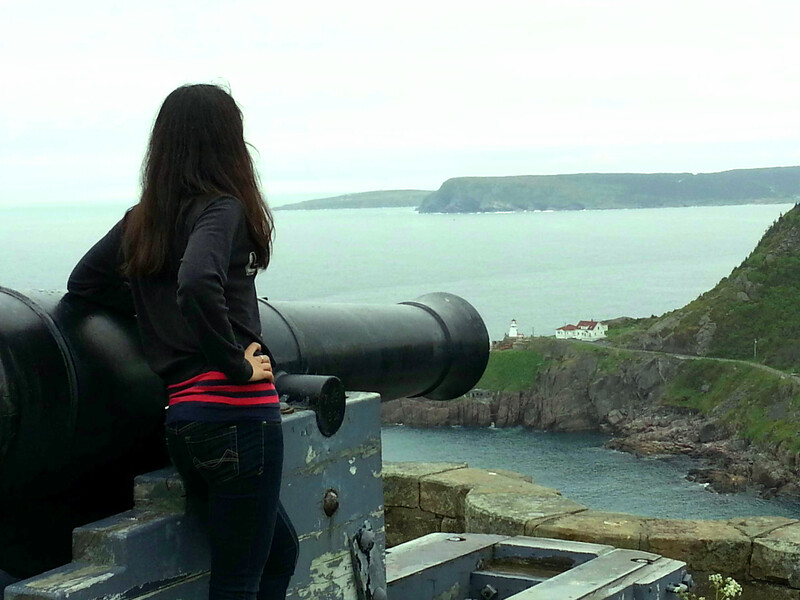 Hopefully if I visit St. John’s again I will be able to take in the gorgeous views on a sunny day.